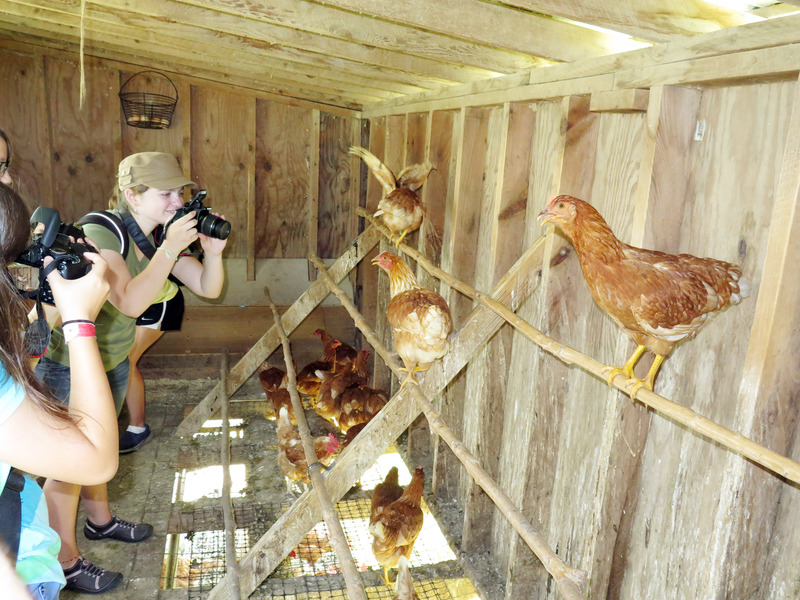 Friday was the last day of 2015 Farms, Food and Photography camp. This is the third year I teach the Agricultural Stewardship Association Camp at the Arts Center of the Capital Region in Troy, NY. This summer, we featured different sessions and it was wonderful to meet new students on session one and work with returning students on session two. 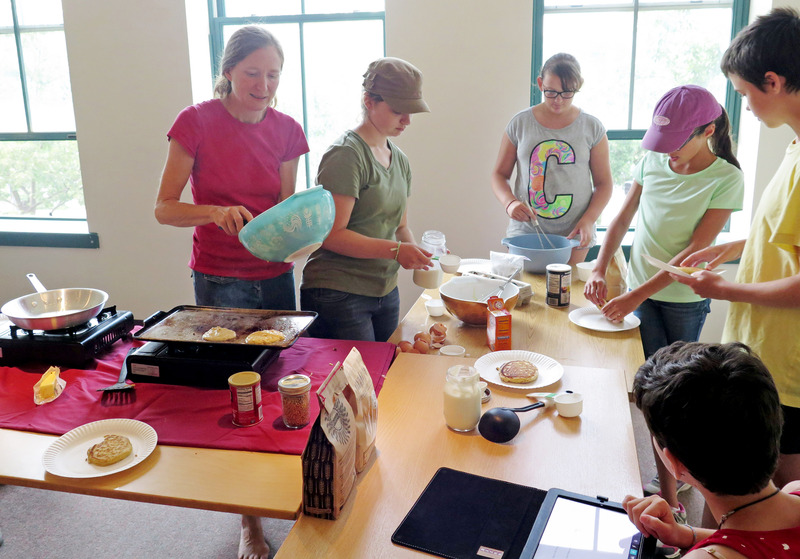 When Monday come around, we gathered in the conference room and I shared our exciting plan for the week — farm trips, photography lessons, cooking and sharing recipes, and reflecting on the important role that farms and food play in our lives. We still kept the week open to new experiences. 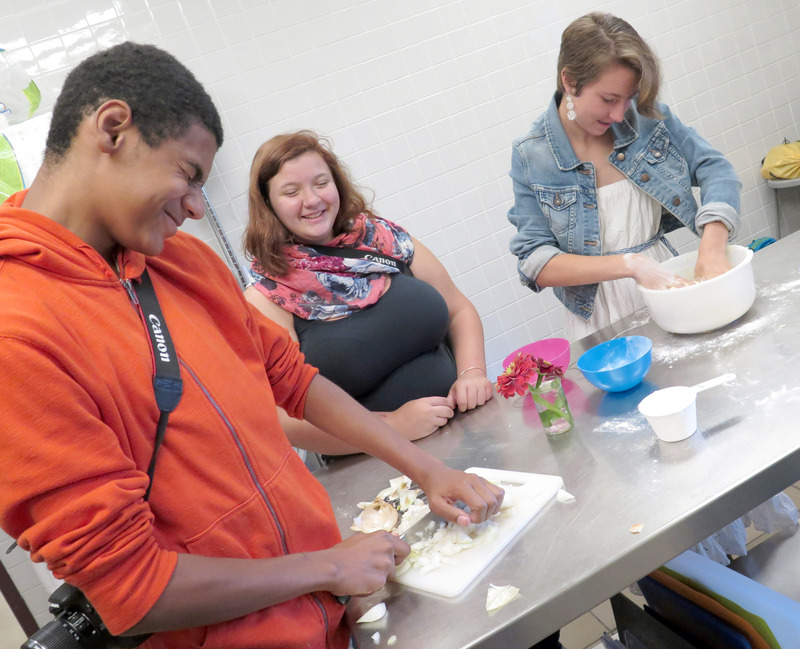 Students voted on the foods they wanted to learn to cook and skills they wanted to gain. 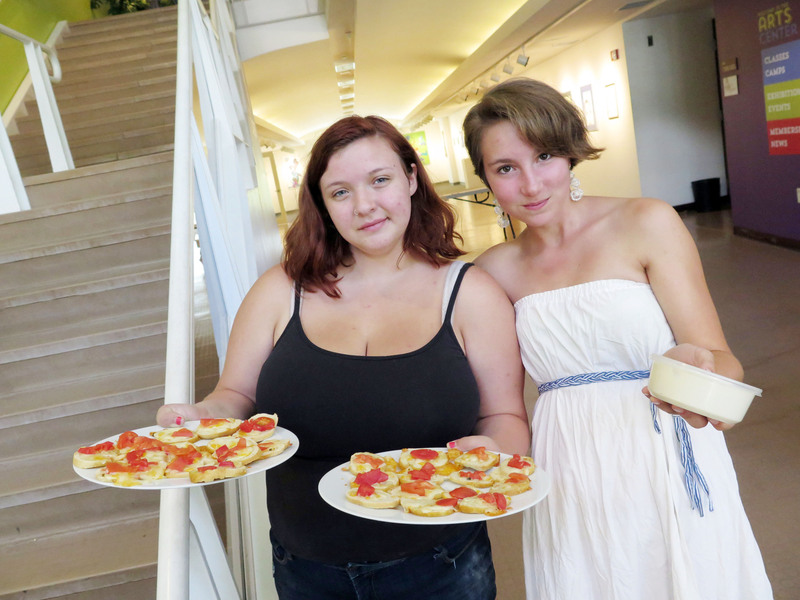 Some wanted to make time-lapse videos, some wanted to learn to chop or make pasta from scratch. Others wanted to learn how to photograph action or how to use macro. 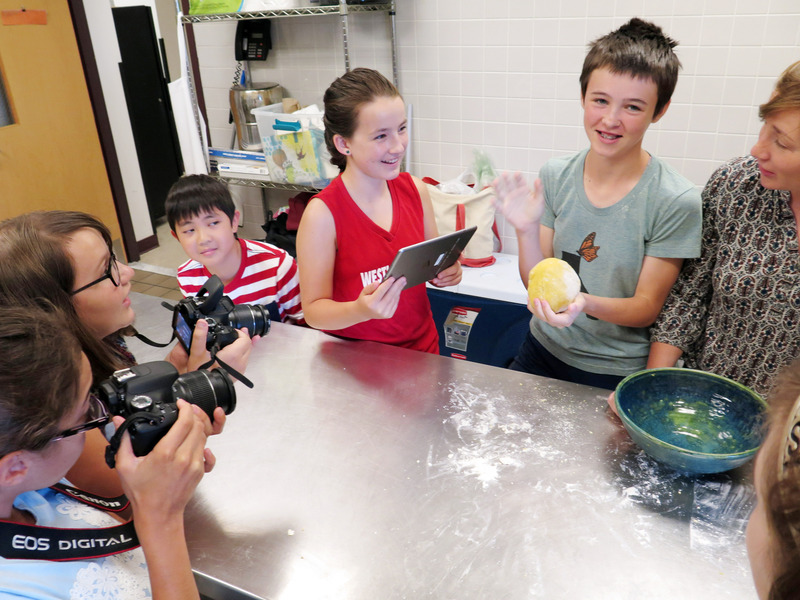 By Friday, all of them had used digital SLR cameras and ipads to to document their experiences, visited farms and cooked with local ingredients! Thank you Andrea, Madison and Ashely for all your help! Thank you Amy Halloran for the amazing pancake clinic. Thank you Homestead Farm, Denison Farm, Lewis Waite Farm and Washington County Fair for your wonderful hospitality. I am really thankful for the community that comes together to make this program possible. Title Sponsor: Salem Farm Supply, Inc. Lead Sponsors: Stewart’s Shops and TCT Federal Credit Union. Other Sponsors: CaroVail, Currin Compliance Services, LLC,Fronhofer Tool Company, Kelly + Sellar Ryan, PLLC, Attorneys at Law, O’Brien Insurance Agency. 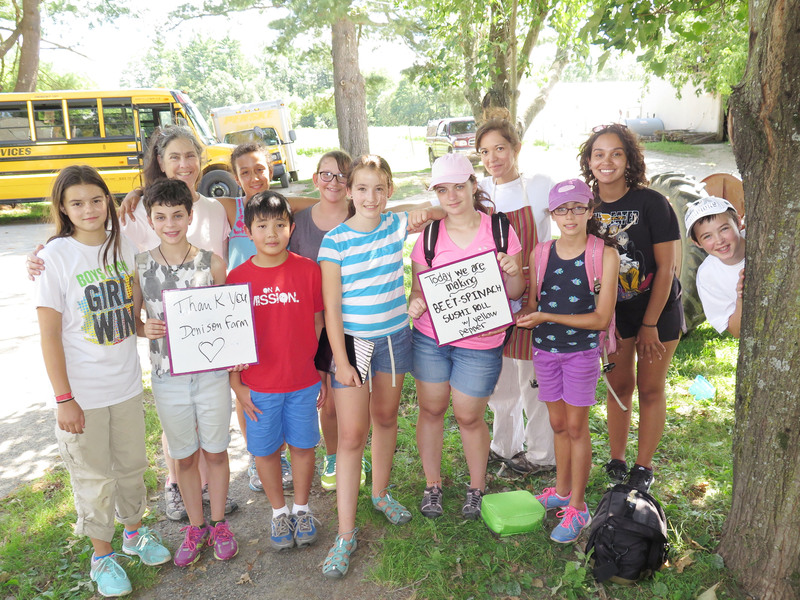 Grant support from: New York State Agricultural Society Foundation and the Review Foundation. Aiyana favorite picture was of a boy with his pig at the fair. “It gave me insight onto farmer’ lives are like, especially children. This boy told us about farms and what it’s like to be involved in farms that treat their animals with great compassion and tenderness. There were other children that were even attached and had strong relationships with their animals. It was beautiful. I also learned some different skills in photography. I now can focus on objects and adjust the lighting and the shutter speed. 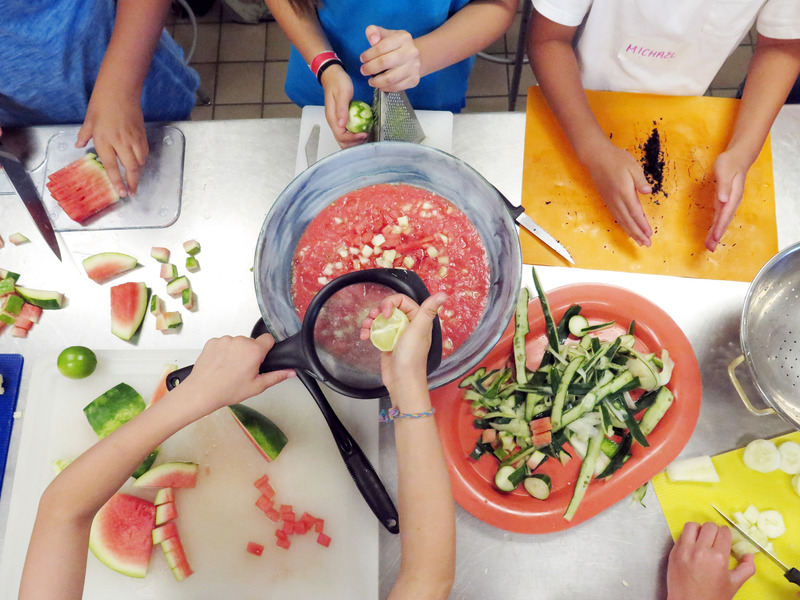 Sofia, above, seeing while being photographed by campers, said she enjoyed cooking. “Yesterday we went to the Washington County Fair. There we saw a horse show, cows (like this one,) pigs and many more animals. 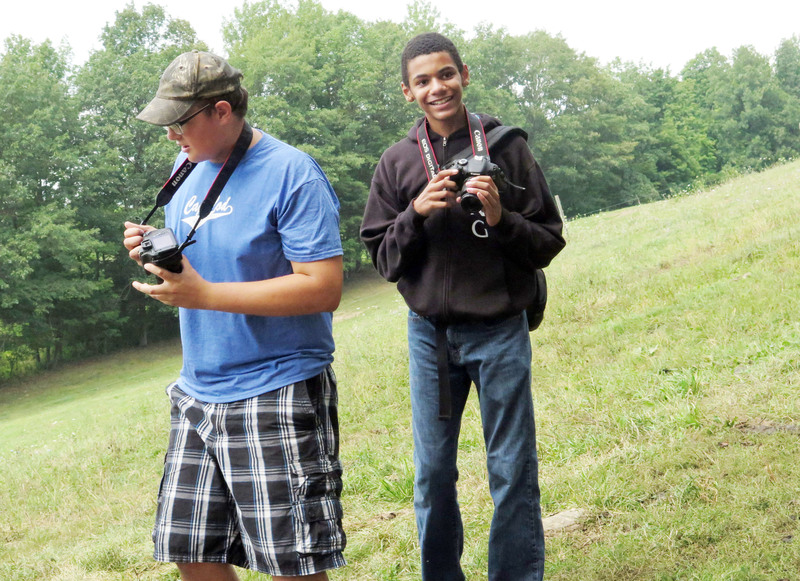 Something that I really liked about this camp was that we got to experience different foods and take a lot of photos. 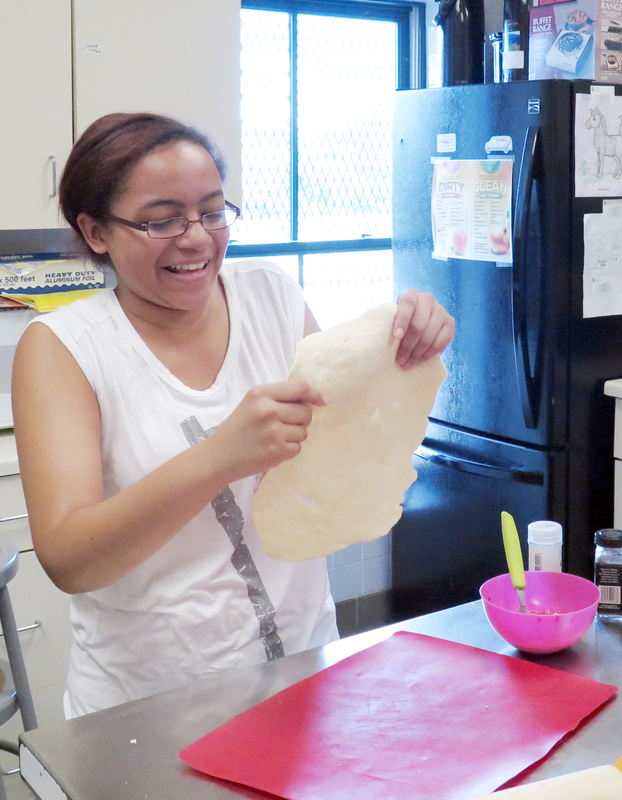 For example, we made homemade pizza, West African peanut soup and much more. 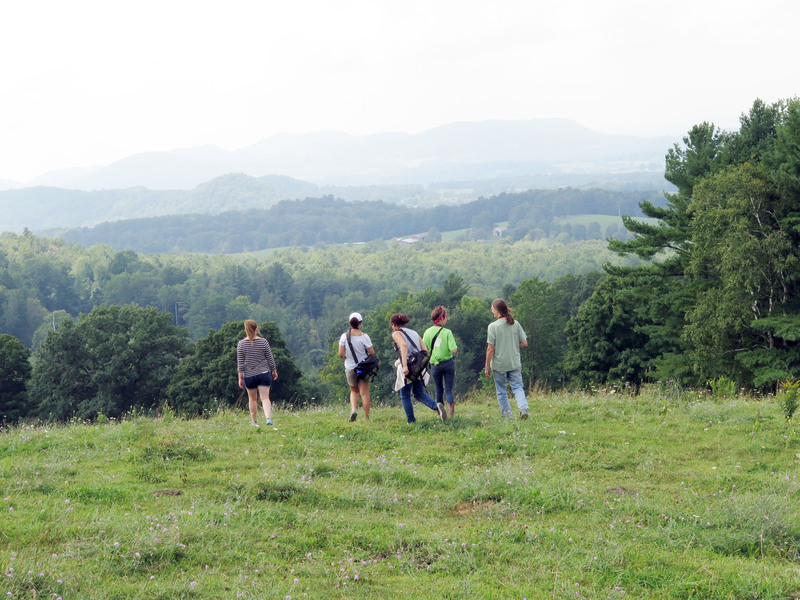 Wren, right, seeing above with Hanna is one of our returning campers. >On Wednesday, we went to The Washington County Fair for the day. We spent all day photographing animals and their emotions. When we got back to the Art Center, we cooked African peanut soup. It must have been good because it was gone after ten minutes.Today we made fresh pizza with sourdough as crust. It was a really good taste and we all enjoyed it. Hanna and I put fresh pesto and mozzarella on ours, and it was delicious. 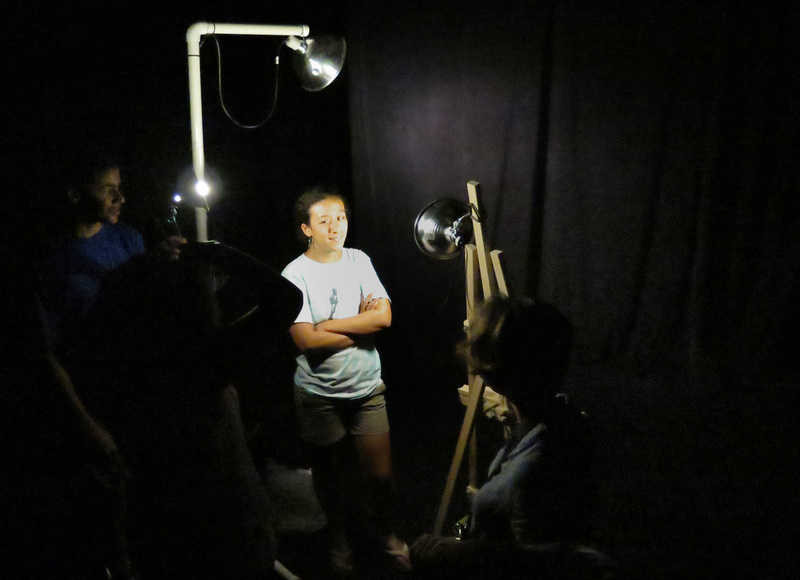 Along with the pizza, we learned how to use controlled lighting and change the settings on the camera to take the perfect portraits. We all got to pose while people took our pictures and it was really fun. Well that’s all I’ve got on this story today, now back to our current news broadcasting. Flour your working surface, using your hands, knead the dough for 5 minutes , then cover it with a large bowl, and let it rest for 30 minutes. Separate the dough into 2 balls. 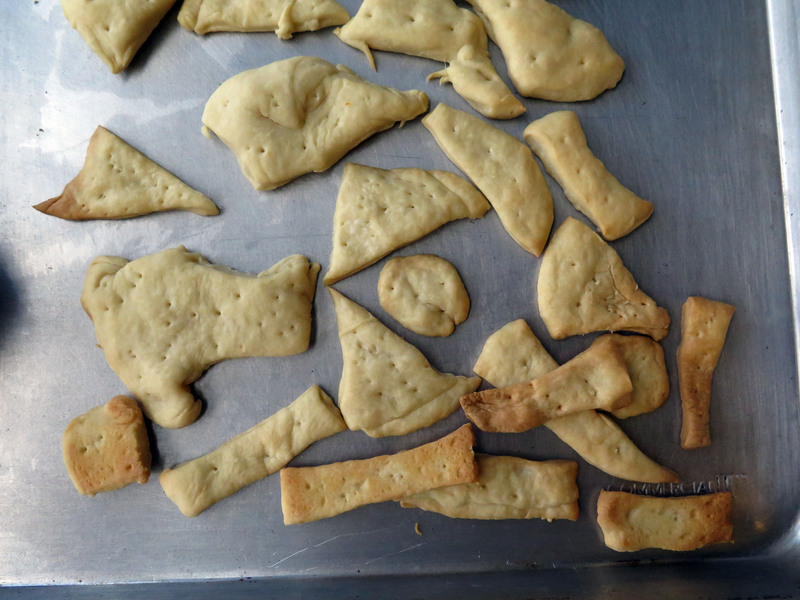 The dough will be weat, so roll spread the best you can onto a baking sheet with parchment paper or heated baking stone until 1/4 inch thick. Bake for 5 minutes without the toppings. 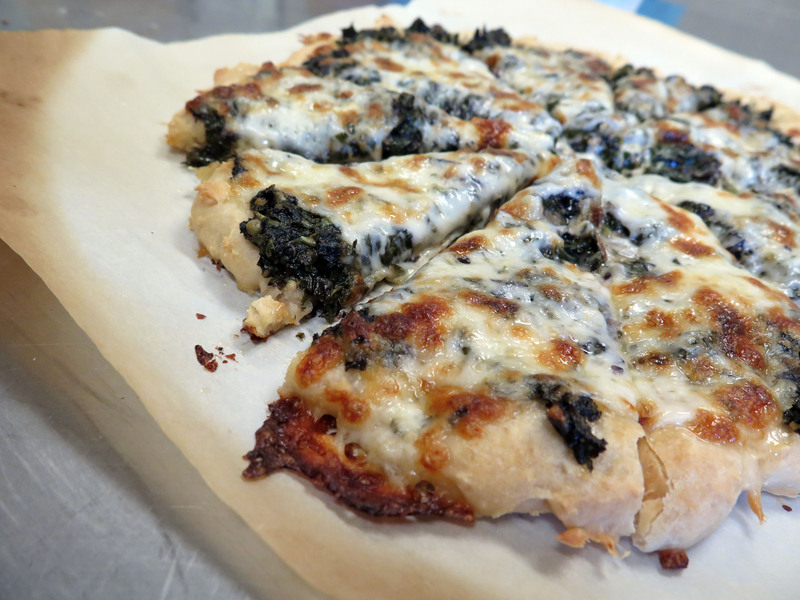 Remove the crusts from the oven, add your favorite sauce, toppings, cheeses. Return to the oven and bake a further another 5-6 minutes, or until cheese is melted, crust is golden.